While surveys vary widely in how they are conducted and used, there are a number of components that are common across nearly all surveys. Many of these common features have been studied in extensive detail by survey methodologists, psychologists, statisticians, and many other fields of research. Millions of surveys are sent out each year and although some companies still send out paper surveys, there would be a lot of wasted paper if most were not digital. Online survey software has been the most popular way of conducting survey research for over a decade now, and because getting faster insights is imperative to business success, more and more companies will migrate to digital solutions. It’s easy to create a survey with digital software and Qualtrics offers free survey templates. Plus, digital software can save your company time and money because they have lower setup and administrative costs. It’s more convenient for the customer or respondent because they can take the survey on whichever digital device is most convenient for them (tablet, computer, phone, etc). It’s also more convenient for you because you just need to send the survey link via email and you’ll have the data in your survey management software as soon as responses come in. Digital surveys scale faster. With the click of a button in the survey tool, you can send a survey to thousands of people and even translate it into multiple languages. You can also analyze the results easily, and they’re more accurate because you don’t have humans putting the data into a computer to be analyzed. The best survey is only as good as its design, so it’s important to be thorough from your initial design to data analysis. By taking the time to plan out your research question and distribution model, you’ll be in the best position to get quality data. What exactly are you trying to find out? Do you want to understand what customers think of your latest product or of your brand overall? Are you looking to see what benefits your employees want to see implemented, or if your employees are engaged at work through employee engagement surveys? Defining the research question before you start is critically important to the success of a survey research project. Without one research question and certain metrics that you want to measure, a survey will only give you data and not the insights you need to make changes to your processes, product, or services. Who can help you answer your research question? Is it your customers, employees, or consumers who are not using your product? You must identify this population and understand the best way to reach them (social media, email, your website, etc). Designing the questionnaire carefully and then pre-testing it before sending it to your entire audience is crucial to getting data that are valid and reliable. For example, careful survey design and pre-testing can help bring clarity and reduce the chance that respondents may interpret the meaning of questions differently. Selecting a sample from your contact base is also important for collecting valid and reliable data about the population as a whole. For example, if you are sampling from a large database of customer email addresses and only wanted one response per household, you might want to cross-check each email address against mailing addresses and remove duplicates to avoid some households having a greater probability of selection. Then you would likely draw a random sample from the remaining list of email addresses. Also keep in mind, that your customers will not be an unbiased population for all types of research, if you are launching a product for a new segment your existing market may not be the same buyers. To have accurate and actionable data you must have a representative sample to consider the data accurate. Use our sample size calculator to determine how many responses you need to be confident in your data. Want to become a sample size expert? Download our ebook! When you send out your survey, it’s important that you put substantial effort into getting responses from everyone in the sample, as this will determine the response rate of the survey. Create a plan for getting a great response rate for your survey before you begin distribution so you can hit your target sample size. It’s often necessary to code and adjust the data before analyzing, particularly if open-ended questions were asked. 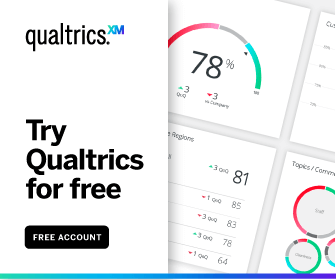 Qualtrics Text IQ easily analyzes the data from open-text responses, giving you actionable insights from your data. Your whole data set can then be analyzed, and you can make a plan for improvements. There are a variety of statistical analysis types that are well suited for survey data we’ll cover that later in this article. On the outside, surveys look easy to construct. You just ask the questions you want answered, right? In reality, the way you ask the question can actually determine how the respondent responds, so you must write questions that aren’t leading, are direct, and mutually exclusive. There are several other best practices that can get you maximum results that will be outlined in this section. There are more than 100 different ways to ask a question, and the question type has a direct impact on the survey results. For instance, text-entry questions are the most reliable, but they also lead to respondent fatigue faster, so you should limit those types. Multiple Choice: Multiple Choice questions form the basis of most research. They can be displayed as a traditional list of choices or as a dropdown menu, select box, etc. Multi-Select: Multi-select is used when you want participants to select more than one answer from a list. Text Entry: Text Entry is used to gather open-ended feedback from respondents. These responses can be lengthy essays, standard form information such as name and email address, or anything in between. Ranking Order: Rank Order is used to determine each respondent’s order of preference for a list of items. These questions are best used when you want to measure your respondents’ attitude toward something. Matrix Table: Matrix Table is used to collect multiple pieces of information in one question. This type provides an effective way to condense your survey or to group similar items into one question. An example is the Likert scale. Slider: Sliders let respondents indicate their level of preference with a draggable bar rather than a traditional button or checkbox. Side by Side: Side by Side questions let you ask multiple questions in one condensed table and provides an effective way of shortening your survey while gathering the same amount of data. For a deeper dive into survey question types, check out our free eBook, The Qualtrics Handbook of Survey Design. 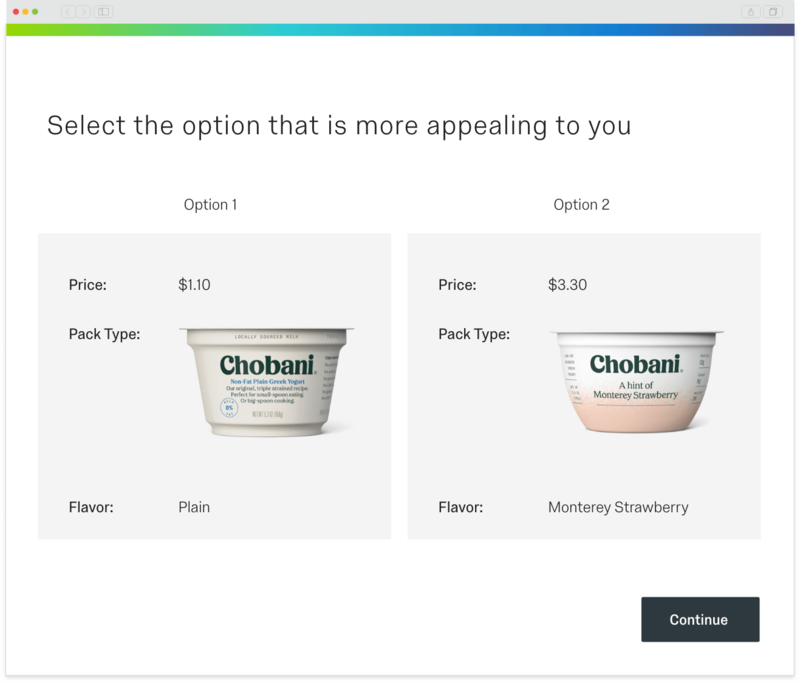 Even if you’re using a third-party solution to send the survey, it should still look and feel like it’s from your company and match your company’s branding. It’s important that the customer or consumer recognizes it’s from you, so they know it’s legitimate and not fraud. This also preserves overall brand consistency. All data should be checked and double checked to ensure accuracy. Before you even send out the survey, you should take the survey yourself and make sure there are no errors and it’s easy to understand. Also, take it on multiple devices and make sure there’s a consistent experience on all devices and it works. After you’ve gathered your data, review the results output and make sure everything is accurate. Respondents want to give their opinions, and not personal details. If you already have this information, don’t ask it again. This respect’s the respondent’s time and limit survey fatigue and frustration. If you are collecting sensitive data, make sure you are complying with internal policies, local laws, and GDPR (if applicable). You’ll also want to make sure your servers that house the data are secure and you do periodic penetration checks to patch vulnerabilities. Your survey can be distributed through multiple channels— web, email, social media, etc. To make sure the maximum amount of people complete it, distribute it through the channel your target audience is most likely on. This might even mean distributing it through social media for generation Y and email for Generation X. Knowing what you need to do is only half the problem. If you don’t implement changes based on the data, the time spent creating the survey will be wasted. Create an internal and external distribution plan before you even get the data. You can even create a mock presentation with fake data and a mock distribution plan, so you know exactly what you need to do once you’ve analyzed the data. Automatic triggers save you time and help you scale your experience management programs. Use the findings from your surveys to trigger integration with other tools like CRMs Salesforce, Hubspot or Microsoft Dynamics. Create service tickets directly with a close-loop ticking follow-up add-on or with integrations to your service desk software such as Zendesk, Servicenow, or FreshDesk. If a customer is at risk of churning, have an alert pop-up when that customer interacts with your customer service agent. There are endless possibilities to use automatic triggers once you have your data analyzed. There are many things you can do with your survey results, but it’s most important to get them into the hands of the decision makers in an easily understandable format. From creating interactive PDF reports, to exporting to Excel, SPSS, or Google sheets, you can present the information in multiple ways, so it’s well-received by your stakeholders. Advanced statistical analysis can help you answer research questions in more depth. These are methods that are typically utilized by a trained research professional or high-tech statistical software like Qualtrics Stats iQ. Regression Analysis– Measures the degree of influence of the independent variables on a dependent variable (the relationship between two variables). Analysis of Variance (ANOVA) Test– Commonly used with a regression study to find out what effect independent variables have on the dependent variable. It can compare multiple groups simultaneously to see if there is a relationship between them. Conjoint Analysis– Asks people to make trade-offs when making decisions then analyses the results to give the most popular outcome. Helps understand why people make the complex choices they do. The T-Test– Helps you compare whether two data groups have different mean values and allows the user to interpret whether differences are meaningful or merely coincidental. Crosstab Analysis– Used in quantitative market research to analyze categorical data – that is, variables that are different and mutually exclusive and allows you to compare the relationship between two variables in contingency tables.